Trains from Marseille . . . This page explains how to buy train tickets from Marseille to other European cities at the cheapest prices, buying online direct from the operators, usually with print-at-home tickets. Click here to buy tickets starting in another city. See Marseille St Charles station information. High-speed TGV trains link Marseille St Charles station with Paris Gare de Lyon in around 3h20 more or less hourly through the day. These TGVs travel at up to 300 km/h (186 mph). TGVs have 1st & 2nd class and a cafe-bar, most are double-deck TGV Duplex, see the TGV page for photos & travel tips. Irregular Intercités link Marseille St Charles with Nimes, Montpellier, Narbonne, Toulouse and Bordeaux. TGVs and TER regional trains link Marseille St Charles with Toulon, St Raphael (for St Tropez), Cannes, Nice & Monaco-Monte Carlo. There are also several daily TGVs which by-pass Paris, linking Marseille with Marne la Vallée (for Disneyland), CDG Airport and Lille. 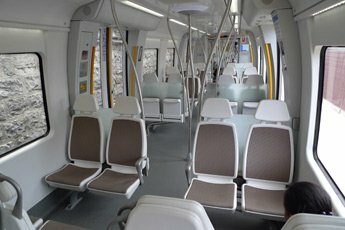 There are direct TGVs between Marseille St Charles and Lyon Part Dieu at least every hour taking around 1h50, check times & buy tickets at www.loco2.com looking for a direct train with 0 changes. These TGVs use the high-speed line, tickets include a seat reservation and TGVs have dynamic pricing, cheaper in advance, expensive on the day. You print your own ticket. Tip: It's worth knowing that there are also TER regional trains between Marseille St Charles and Lyon Part Dieu roughly every 2 hours. These use the original classic line and take 3h30. But seat reservation is unnecessary, tickets cannot sell out, there's one fixed price that doesn't change so this can be a cheaper option at short notice when TGV prices become expensive. These TERs also take bikes. Journey planners show the fast TGV service by default, so to find these slower cheaper trains simply go to www.loco2.com and run a Marseille to Lyon enquiry, but click More options and add Avignon Centre as a via station. Every day, 3 or 4 direct TGV trains link Marseille St Charles with Brussels Midi in around 5h50 at up to 300km/h (186 mph). These TGVs by-pass Paris on the high-speed avoiding line through Marne la Vallée (for Disneyland) and CDG airport. To buy tickets, book from Marseille to Brussels or Bruges at www.loco2.com or www.trainline.eu. Look for the direct journeys with 0 changes. You can also book at www.b-europe.com and this allows you to specify direct trains. You print your own ticket. 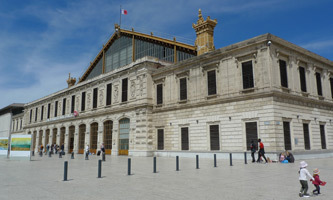 Step 1, take a TGV from Marseille St Charles to Paris Gare de Lyon in around 3h20 from €20. To buy tickets, book from Marseille to Brussels or Bruges at www.loco2.com or www.trainline.eu. You print your own ticket. Tip: You can book this as one journey, but make sure it gives you an hour between trains in Paris, it sometimes gives less than this. It can be better to book from Marseille to Paris first, add to basket, then book Paris to Brussels, add this to your basket and check out. The latter method gives you more control and allows you to build in stop off in Paris, perhaps to have lunch there - maybe at the Train Bleu Restaurant at the Gare de Lyon or at one of these restaurants at the Gare du Nord. Every day, 3 or 4 direct TGV trains link Marseille St Charles with Brussels Midi in around 5h50 at up to 300km/h (186 mph). Change in Brussels for a high-speed Thalys train to Amsterdam taking 1h50 more. To buy tickets, book from Marseille to Amsterdam at www.loco2.com, www.trainline.eu or www.b-europe.com, all these accept overseas cards and give print-your-own tickets. To buy tickets, book from Marseille to Amsterdam at www.loco2.com or www.trainline.eu. You print your own ticket. Check times & buy tickets from Marseille to Luxembourg at www.loco2.com or www.trainline.eu or www.b-europe.com. But look carefully at the search results! There is one direct TGV high-speed train from Marseille St Charles to Luxembourg every day leaving around 15:58 and taking around 7h36 with fares from €35 upwards. This is the best train to take. However, there's another good option just after 09:00 with one easy change at Lyon Part Dieu. To find this option, use www.loco2.com, but you need to click More options, enter Lyon Part Dieu and a minimum 30- minute stopover duration. Otherwise it may not show up. You'll see lots of 1-change options using a high-speed TGV from Marseille St Charles to Lyon Part Dieu then a TER regional train from Lyon to Geneva through great scenery. Change in Geneva for Swiss domestic trains to anywhere in Switzerland. It's worth knowing that there's a direct TGV-Lyria high-speed train from Marseille St Charles to Geneva once a day leaving in the early afternoon around 13:44, journey time around 3h30. Tip: You can try booking through from Marseille to your final Swiss destination at www.trainline.eu or www.loco2.com, but it can be cheaper to book from Marseille to Geneva at www.trainline.eu/www.loco2.com then buy onward Swiss domestic tickets separately at Swiss Railways www.sbb.ch. That's because Loco2 & Trainline use the French Railways system to generate Swiss tickets using the international TCV tariff, at a slightly higher rate than used by SBB themselves. Regular full-flex Swiss train fares can be used on any train that day and cannot sell out, you can buy at the station on the day if you like. You'll see several 1-change options using a high-speed TGV from Marseille St Charles to Mulhouse then a TGV-Lyria high-speed train from Mulhouse to Basel & Zurich. Change in Basel or Zurich for Swiss domestic trains to anywhere in Switzerland. It's worth knowing that there's a direct TGV-Lyria high-speed train from Marseille St Charles to Basel once a day in mid-afternoon, journey time around 5h10. Change in Basel for anywhere in Switzerland, check times and prices at www.sbb.ch. 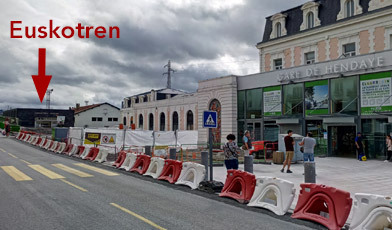 This is a more round-about route, but especially if you're going to southern Switzerland such as Lugano or Brig, it can be an interesting option. Travel from Marseille to Milan Centrale as shown in the Marseille to Italy section below. Then take an ETR610 EuroCity train from Milan Centrale to Switzerland as shown on the Trains from Milan page. Take any train you like from Marseille St Charles to Nice Ville in 2h35 from around €20. Change in Nice for a Thello train to Genoa & Milan, Nice to Milan takes 4h35 and starts at €15. These Thello train run 3 times a day. Change in Genoa for Pisa & Rome. Change in Milan for Venice (2h25), Florence (1h40) & Naples. Milan to Florence or Venice starts at €19.90, Milan or Genoa to Rome or Naples starts at €29.90. For example, the 09:58 TER train arrives Nice at 12:39. The 14:02 Thello train reaches Milan Centrale at 18:50, with connections for Florence, Rome, Naples arriving in the evening. 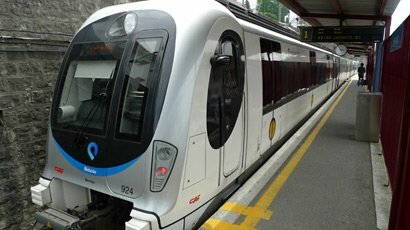 In fact, there's a direct Marseille-Genoa-Milan Thello train at 15:28 on Saturdays, Sundays & Mondays until 25 March 2019 then almost every day from 30 March 2019 onwards, arriving Milan at 22:50, see www.thello.com. 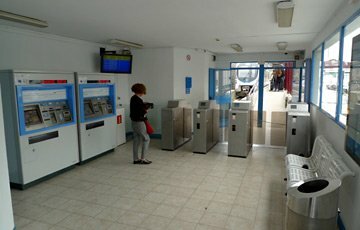 Check train times and buy tickets from Marseille to anywhere in Italy at www.loco2.com, but make sure you allow at least 1 hour between trains in Nice. For French trains you print your own ticket. For Thello & other Italian trains it's ticketless, you just quote the booking reference on board. Step 1, travel from Marseille to Barcelona or Madrid by direct AVE-S100 high-speed train, leaving Marseille St Charles around 08:05, arriving Barcelona Sants around 12:40 and Madrid Atocha around 15:45. Step 2 for Valencia and Alicante: Change in Barcelona and take an afternoon train from Barcelona Sants to Valencia & Alicante. Check times and buy tickets at www.loco2.com. You print your own tickets. Later departure are possible from Marseille to Barcelona, with one easy change in somewhere such as Montpellier. Simply check times and buy tickets at www.loco2.com. Change again at Barcelona to reach Madrid. But the morning direct train is likely to be cheaper as well as easier! Step 1, travel from Marseille to Barcelona by direct AVE-S100 high-speed train, leaving Marseille St Charles around 08:05, arriving Barcelona Sants around 12:40. 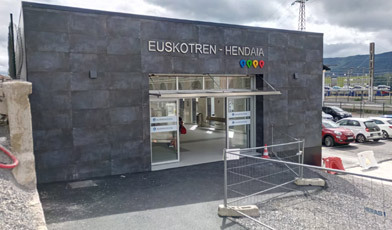 Step 1, travel from Marseille to Hendaye on the Spanish border. 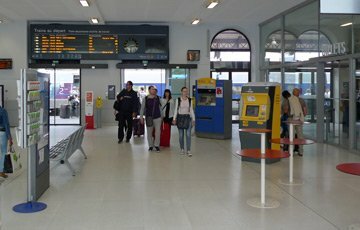 There are regular departures with 1 easy change, usually in Bordeaux, a leisurely journey taking most of the day. Step 1, travel from Marseille to Madrid by direct AVE-S100 high-speed train, leaving Marseille St Charles around 08:05, arriving Madrid Atocha around 12:40. Step 1, every day a direct double-deck TGV Duplex leaves Marseille around 08:00 direct to Baden-Baden, Karlsruhe, Mannheim and Frankfurt, arriving Frankfurt am Main Hbf at around 15:55. Fares from €39 in 2nd class or €69 in 1st class. Step 2, change in Mannheim for Cologne, Düsseldorf, Berlin, Hamburg, Munich and most other German destinations. You can reach almost anywhere in Germany the same day you leave Marseille. Check times and book tickets from Marseille to any German destination at www.bahn.de or www.loco2.com. You print your own ticket. Tip: It's worth trying both sites as they calculate fares in slightly different ways. Step 1, take the direct morning TGV Duplex from Marseille St Charles to Mannheim then a connecting train to Hamburg Hbf or Berlin Hbf, arriving in the evening. Buy tickets from Marseille to Hamburg or Berlin at www.bahn.de or www.loco2.com from €39. You print your own ticket. Step 1, travel from Marseille to Milan by Thello train as shown in the Marseille to Italy section above. This is direct train runs daily in summer and Saturdays & Sundays the rest of the year. On days it isn't direct, leave a bit earlier and change at Nice. Have dinner in Milan. For Slovenia, travel from Marseille to Milan on day 1, stay overnight, then take a train to Trieste and on to Ljubljana on day 2.